Medina Ohio is a wonderful place to call home. Commuting is a breeze with major highways just minutes away. These condos are reasonably priced and have a double advantage of location! Medina offers plenty for family and individuals to keep busy. If you are one to have a love for nature, Buckeye Woods Park is the ideal local spot to take a hike. Take a drive to the Medina Square and admire the grand architecture of buildings. Stop into one of the many local fine-dining establishments! With top rated school districts and no city taxes, Medina is a top place to buy! Call one of our Medina specialists today and find out more information! 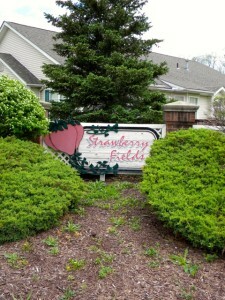 Contact us for a private showing of Strawberry Fields Condos.